Have you ever been seventy feet up in the air while gliding across beautiful camp Kintail ? I have! Its an amazing feeling, I feel so free! Now you you might ask why do you feel free up in the air? 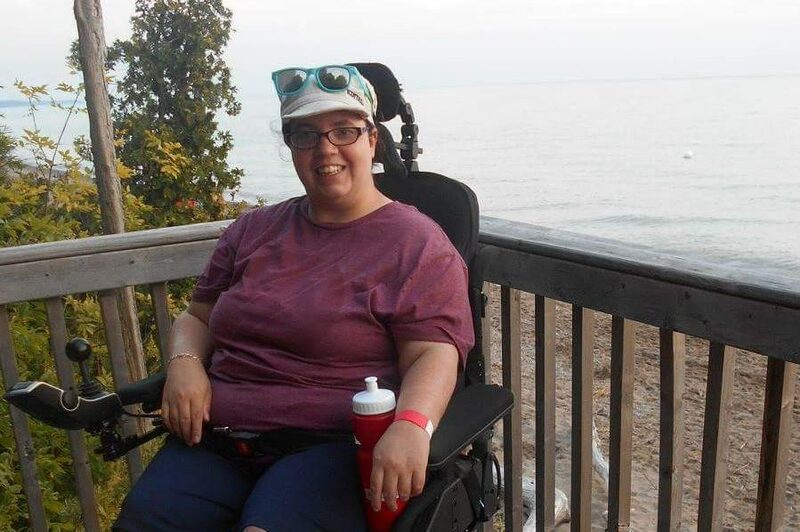 My Name is Ashlee I happen to live with Cerebral Palsy and use a chair to get around for distances. At Kintail there is absolutly nothing I am unable to do, if there is, we adapt it. As soon as I roll onto the grounds of Kintail, Im super calm and can feel God’s presence , I feel like I belong , treated like every other camper. A memory that sticks out from K9 last year is when I got out of my chair, and danced around with everybody else to Ch-Cha slide , leg braces and wheelchairs didn’t even enter my mind because “All God’s creatures have a place in the Choir”. Mine happens to be at Camp Kintail! I haven’t a care in the world there! Thank you Kintail staff for making my experience at camp an incredible one, nothing is impossible at Kintail.